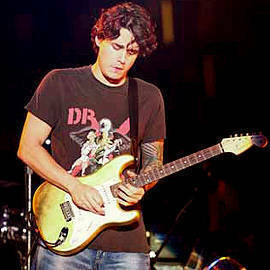 John Mayer to Georgina Wilson: "You don't need to Tweet me. Here's my number." Screencap from Georgina Wilson’s Twitpic. On the night of John Mayer’s concert on October 1, based on TV host Raymond Gutierrez’ tweets, the internationally renowned musician offered his contact number to Filipina supermodel Georgina Wilson. Dolly Anne Carvajal also recounted the incident in her Philippine Daily Inquirer column. She said Mayer was "smitten by Wilson’s charms." When Wilson asked him why he deleted his Twitter account, he said, "You don’t need to tweet me. Here’s my number." Wilson "just giggled away," according to Gutierrez, her friend. She Tweeted, "Haha Mond (short for Raymond)! I loved the concert!" 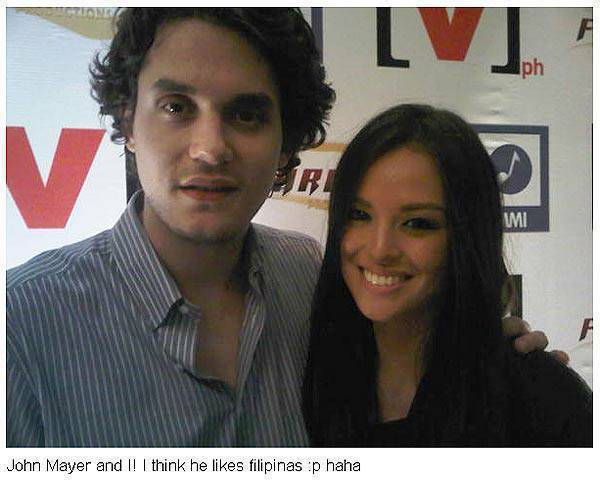 Minutes before that tweet, she posted a photo of her and Mayer and said, "I think he likes Filipinas :p haha." 24 Oras video: Borgy Manotoc enters showbiz. Gutierrez also Tweeted a playful warning to Borgy Manotoc, whom Wilson is dating: "Watch out Borgy!" Manotoc, a model and grandson of the late former President Ferdinand Marcos, has just joined showbiz, according to 24 Oras. A Viva artist now, he wants to try hosting a travel or lifestyle show. He also expressed interest in acting ("Maybe in time.") and politics ("Maybe later on."). For more on this story, log on to Inquirer.net and check out Raymond Gutierrez’ and Georgina Wilson’s Twitter accounts. Screencap from Wilson’s Twitpic.